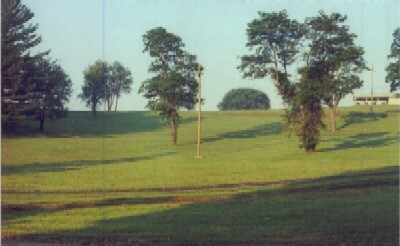 Schuler Park is a spacious resource on the south side of Flushing, Ohio. It contains three pavilions, a bandshell, jogging and walking track, playground equipment, baseball / softball diamonds, and tennis / basketball courts. But the park is enjoyed most for its lovely trees, rolling hills, open spaces, and ponds. Note Hilltop Pavilion in upper right. 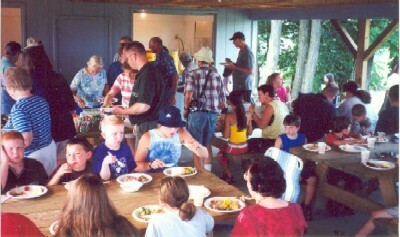 Family reunion in Hilltop Pavilion. 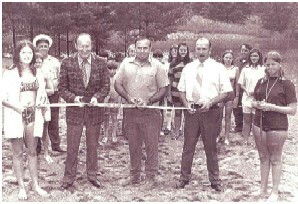 Dedication of the park swimming area, 4 August 1971. 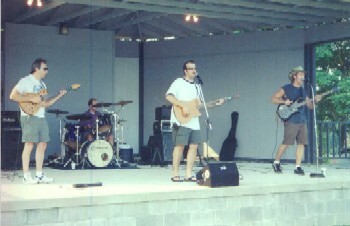 Left to right in the front row are: Becky Elson, lifeguard; Congressman Wayne L Hayes; Nick Fleagane of A.B.&L. Transfer; William Gossat, Mayor of Flushing: and Becky Demuth, lifeguard. Opening of the swimming area came through the efforts of Congressman Hayes, who donated funds to hire the lifeguards, and Fleagane, who prepared the pond and beach. Standing behind them is Flushing marshal, Kenny Long.